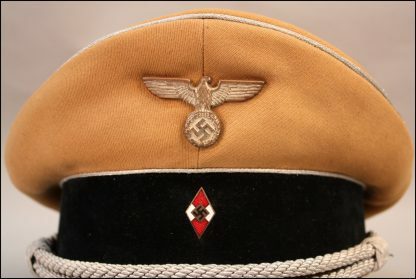 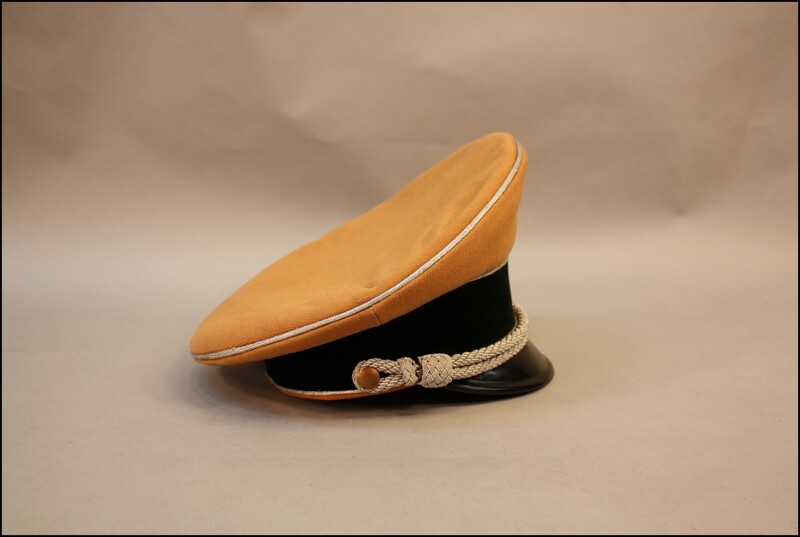 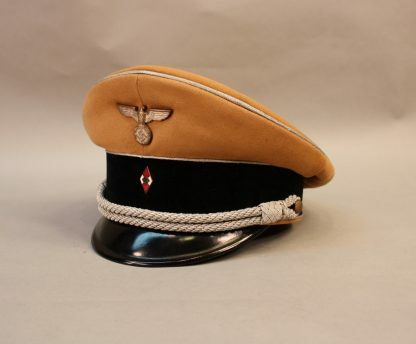 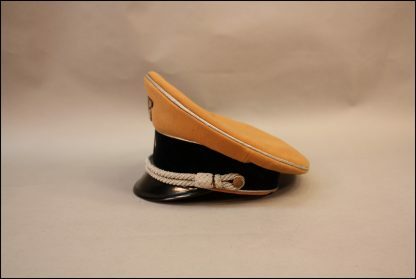 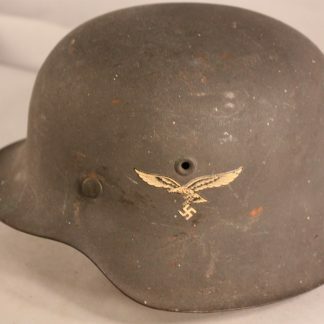 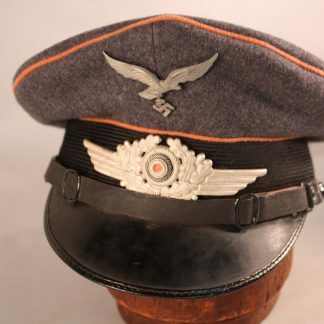 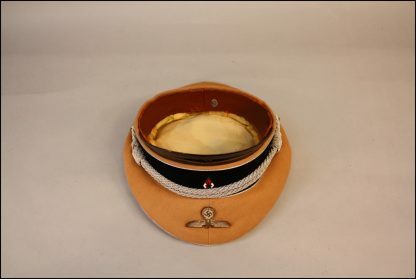 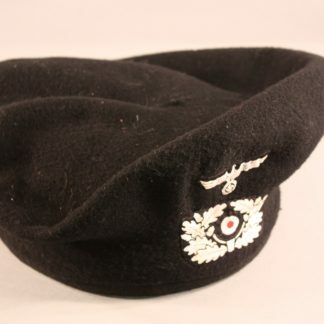 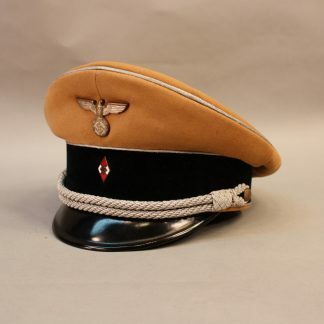 Hitler Youth Leader Visor Cap – Military Collectibles, Inc. 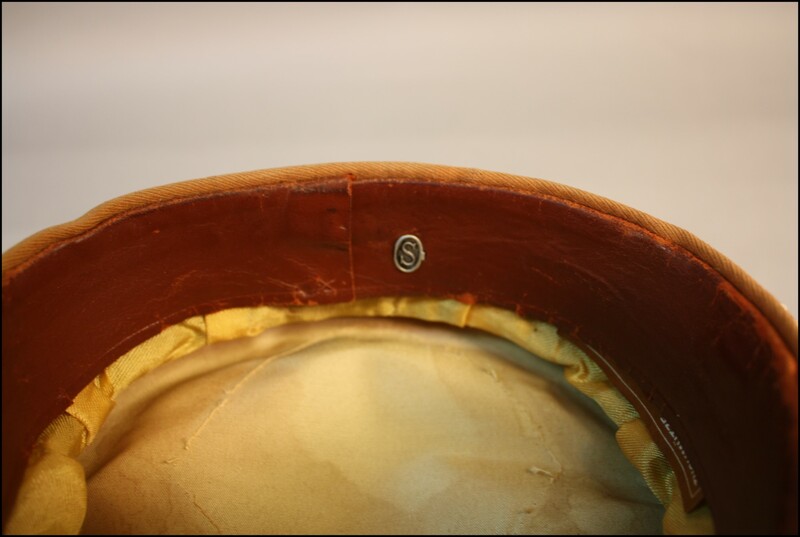 This exceptional cap shows no prior wear or mothing on exterior at all. 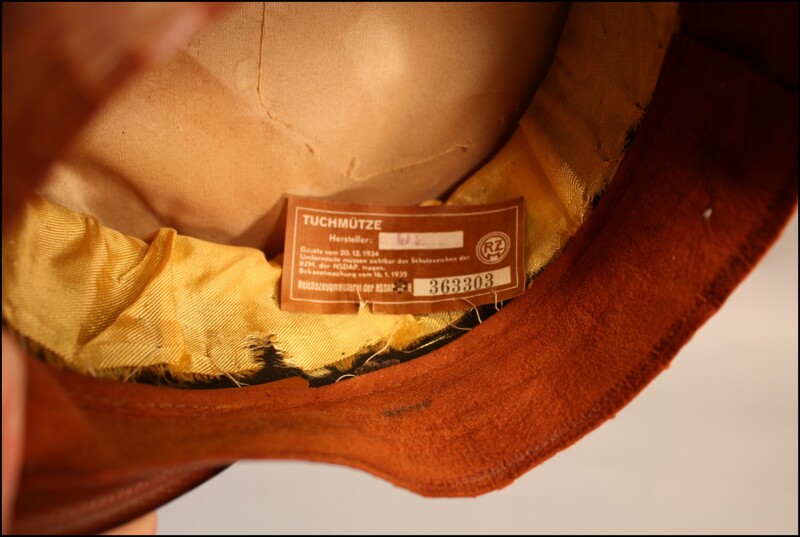 It also has no oxidation on piping at all. 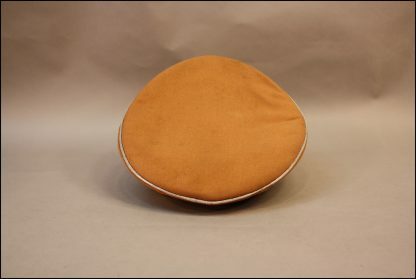 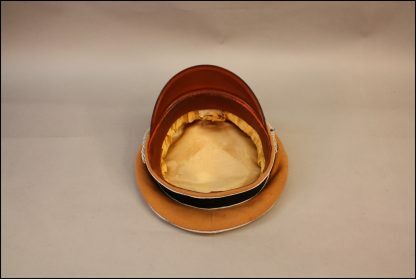 The interior does show some wear to yellow satin lining and the cello sweat diamond has been removed. 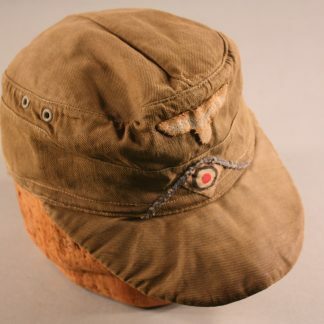 Has the RZM tag and has a perfect sweat band with an initial ”S” emboossed in the rear of cap. 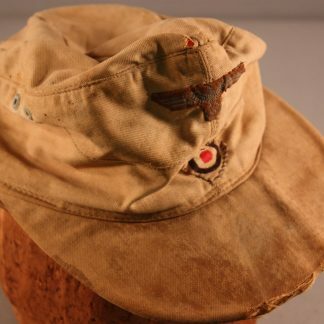 Hard to find in decent condition and this one is better then decent.